Before he was even old enough to make the decision himself, a life in music was always likely to come to Deltano. Even before the Belgium based DJ and producer can even remember he was submerged in sound on a regular basis as his mother took him to the local radio station where she recorded her rock show each week. From then on, he spent any spare time chopping up tunes, making playlists, mixtapes and generally trying to impart his musical taste on anyone willing to listen. Fast forward to now and the young music obsessive has come good: having been offered a slot at a small but illustrious club in Antwerp, Belgium at the age of 21, Deltano impressed so much he was given a weekly residency and the rest, as they say is history. 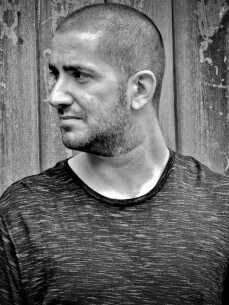 In 2012 the man has played the likes of Café D’Anvers and Extrema Outdoor Festival in Belgium, whilst having also been booked to play places like Ushuaia in Ibiza and Westerunie in Amsterdam along side the much lauded likes of Luciano, Magda, Dubfire and many more.